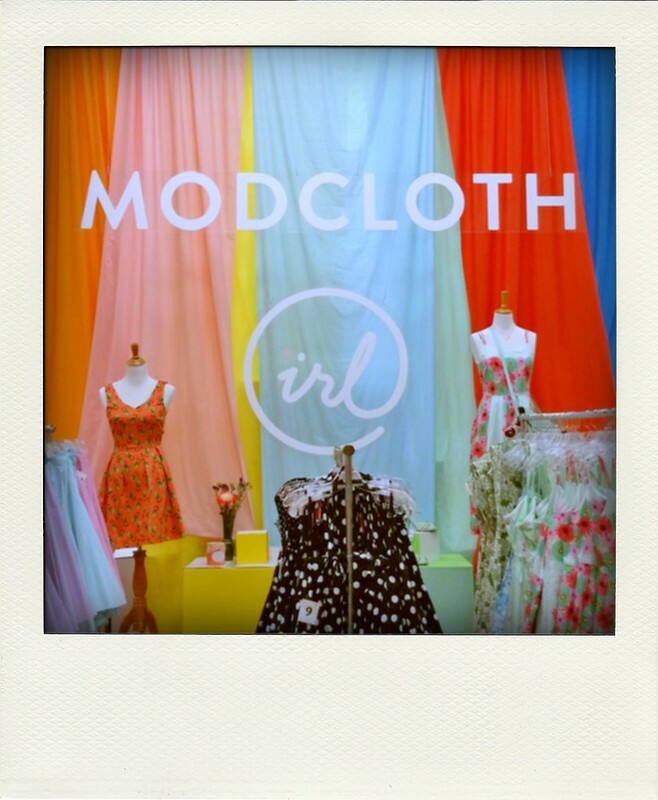 In case you haven't seen them on Facebook, I just wanted to share the photos from the #ModClothIRL event. I met up with the amazing Elana of Room 334 for some coffee and a chat and we headed over to the event together. Elana is fun and bubbly--we definitely need to hang out again soon (especially because I need someone to geek out over podcasts with). 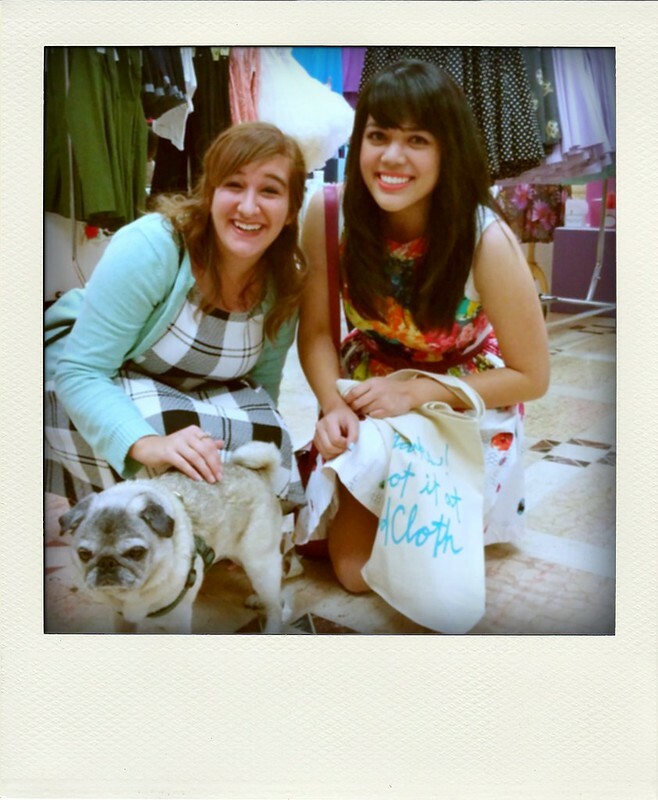 Right when we got there, we were greeted by none other than the founders and ModCloth's adorable little mascot, Winston the Pug! It was pretty surreal. We didn't expect to meet Susan Koger and Winston--who we've only seen online--in real life as well. 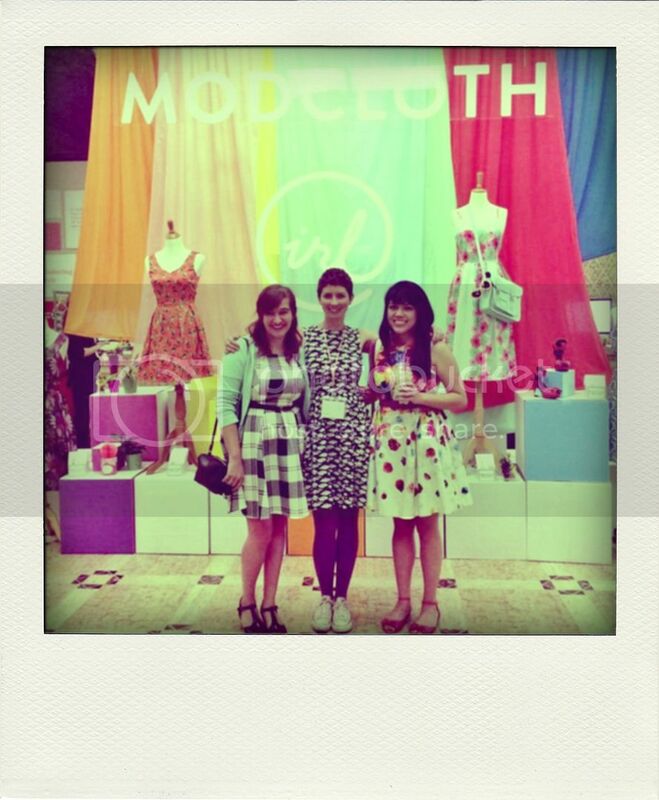 As for the event space, it really was as if you stepped into ModCloth's website. 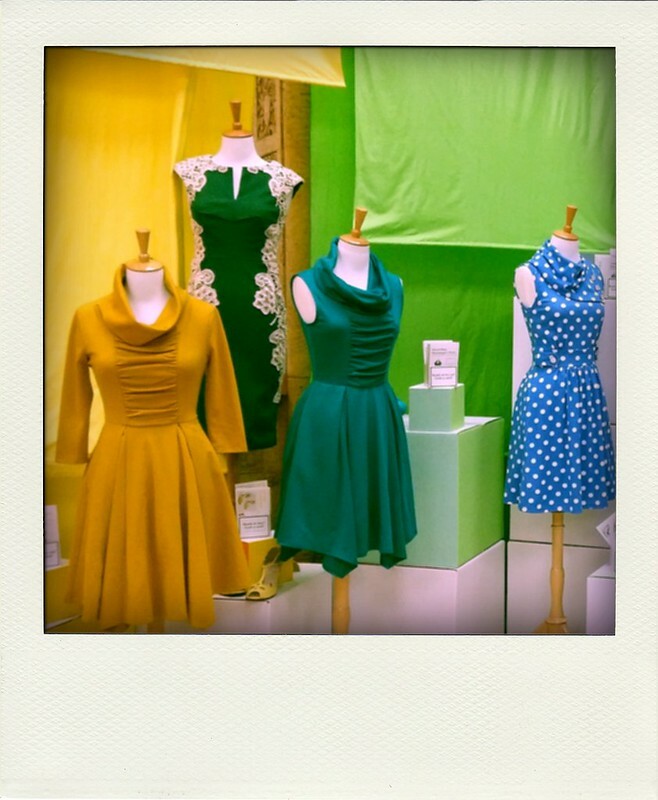 Rainbows of dresses (perfectly accessorized) lined the walls, colorful banners hung from the ceiling, and stylish happy people strolled around. 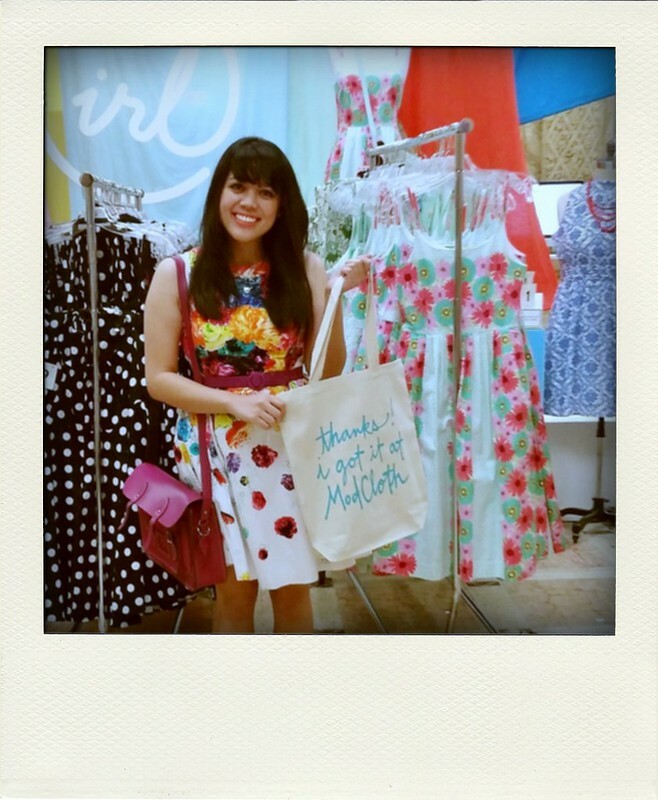 The #ModClothIRL event was actually a "fit shop"--you could browse and try on some of their cute clothes, fill out a little order card, and have it shipped to your house with free expedited shipping. 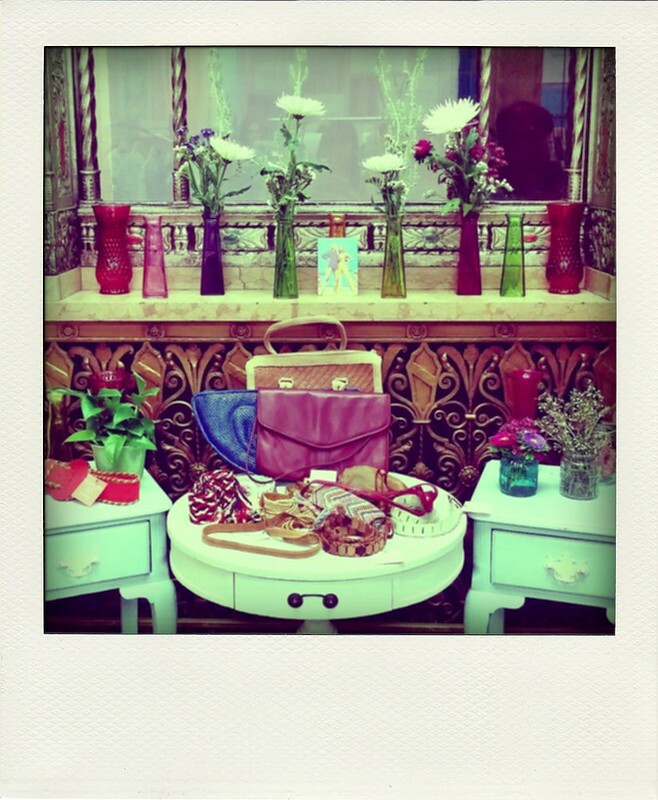 They even had a small, curated vintage section and some gifts and housewares that you could buy and take home right away. I ended up getting a necklace that looks like a vintage pocketwatch. 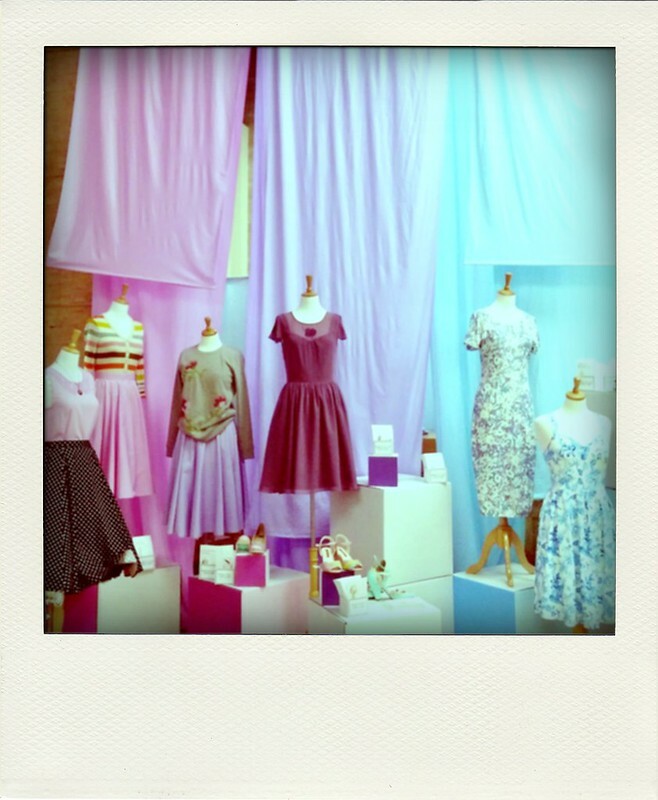 Read a little more about the event on Bystander and be sure to check out all the photos on Facebook! My outfit details will be in the next post.